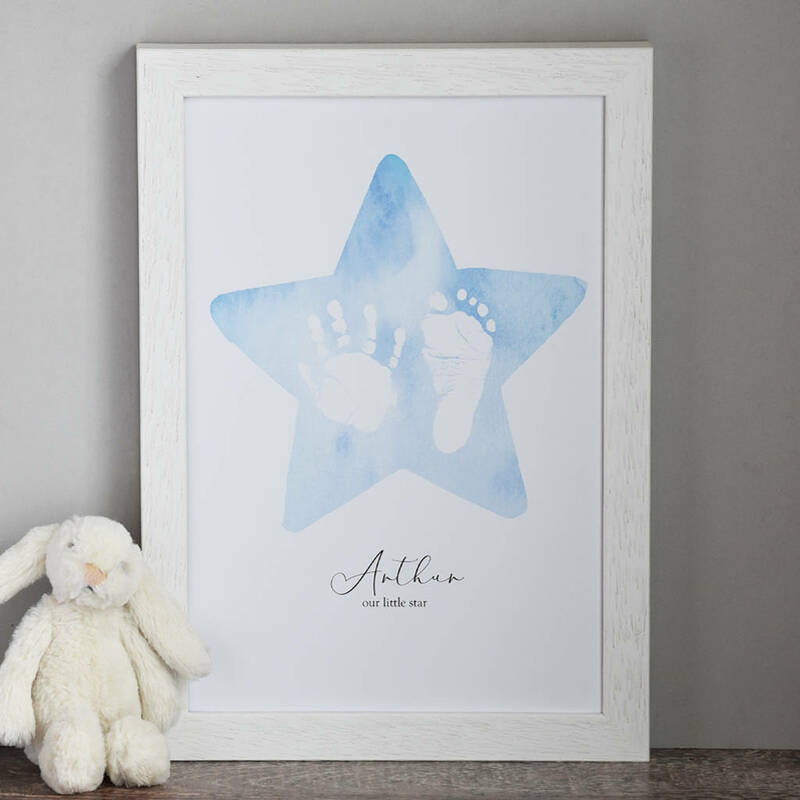 A beautiful personalised print, featuring your little one's own unique handprint and footprint captured within a watercolour effect star. 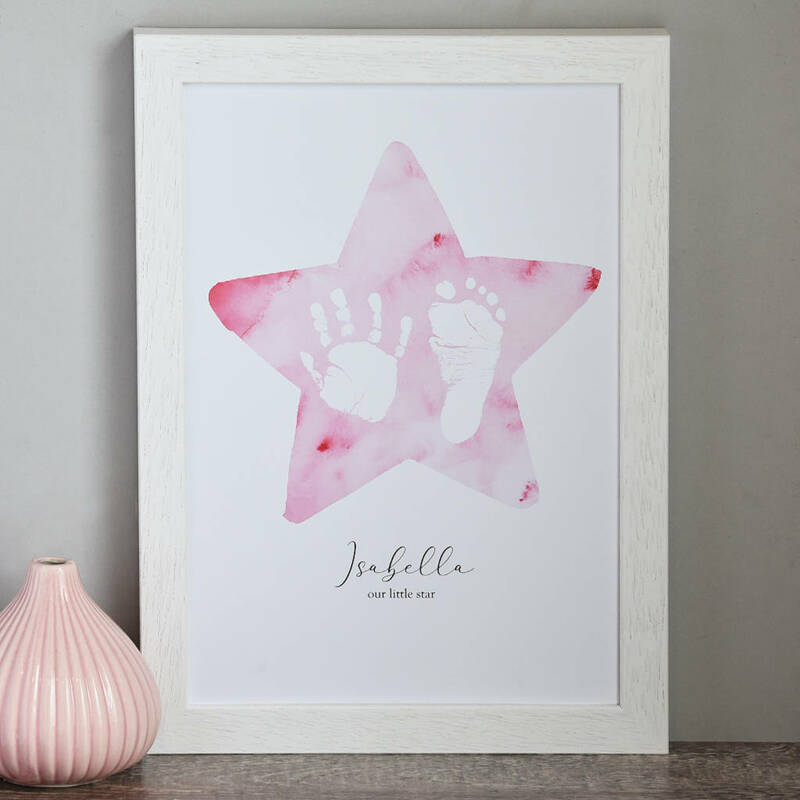 Each unique print captures your baby's hand and footprint, together with their name & the text 'our little star'. Available in three watercolour effect colours - choose from pink, blue or grey. 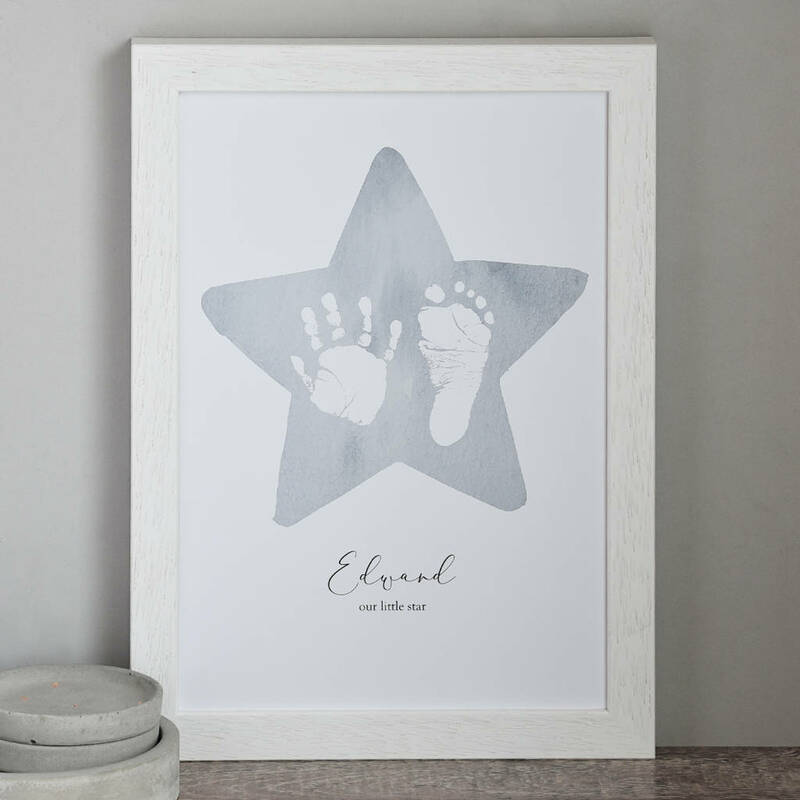 A gorgeous memento of their tiny hand and foot, this beautiful print is available with or without a frame. 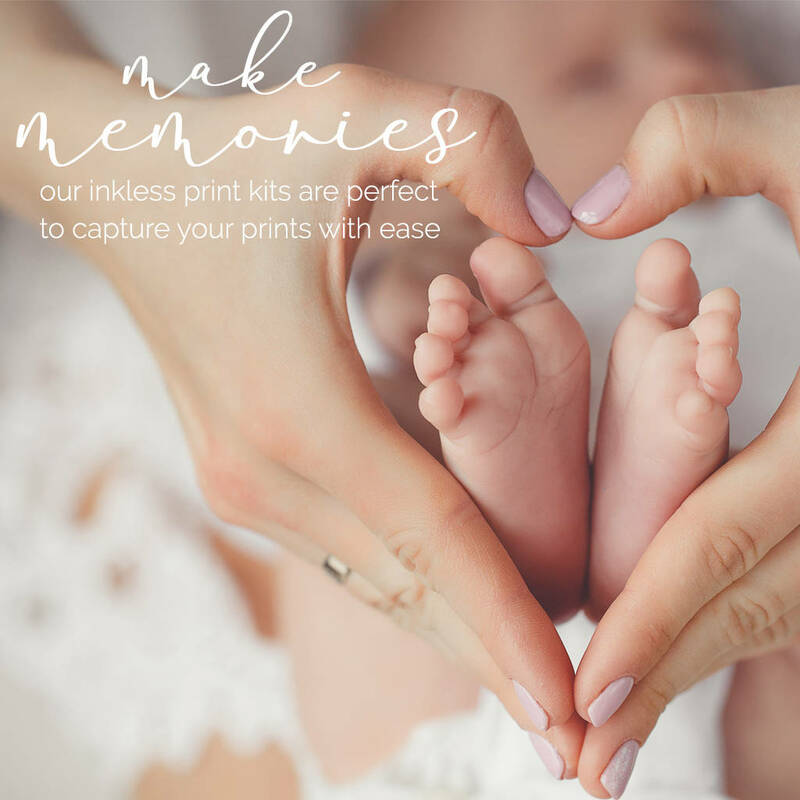 We can work with paint or ink prints you already have, or can provide a simple kit so you can capture your hand and footprints at home. Our kits contain inkless wipes that are mess free and easy to use. Once you have your prints simply contact us via NOTHS, attaching high resolution scans or photos of each print. Suitable for prints from all ages, although prints from older children will be shrunk to fit within the star.